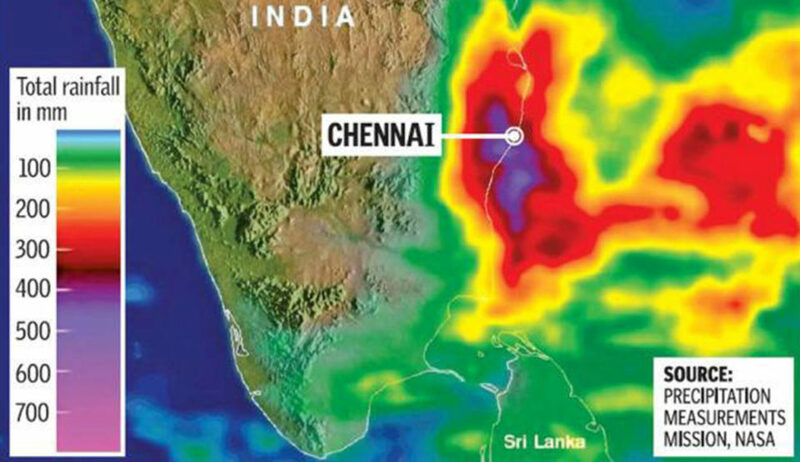 The unrelenting rainfall caused by the northeast monsoon in November-December of 2015 caused the Chennai floods. 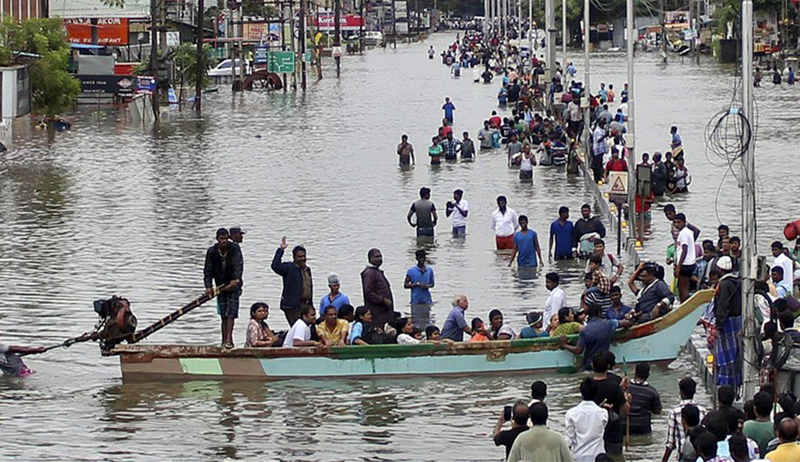 Chennai received a total of 1,049 mm of rainfall, the highest ever recorded since 1918. 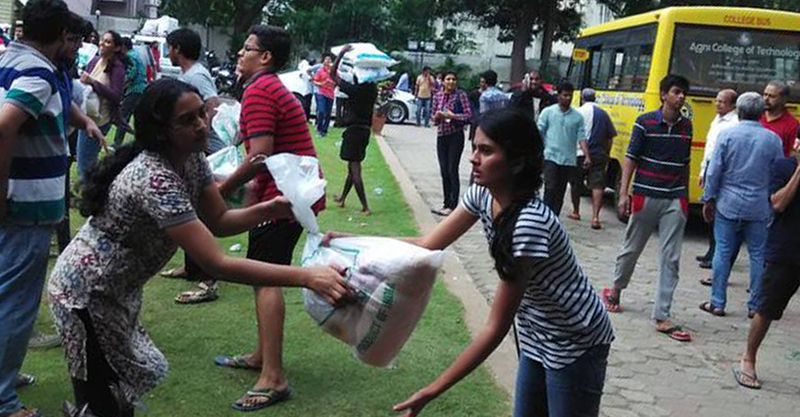 Chennai was declared a disaster area on the 2nd of December. 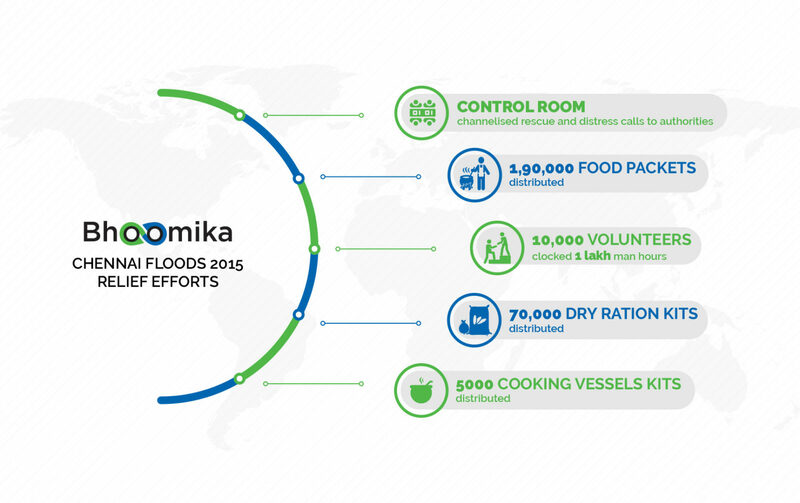 The preliminary flood damages, as estimated by the state government was close to 1 billion USD. 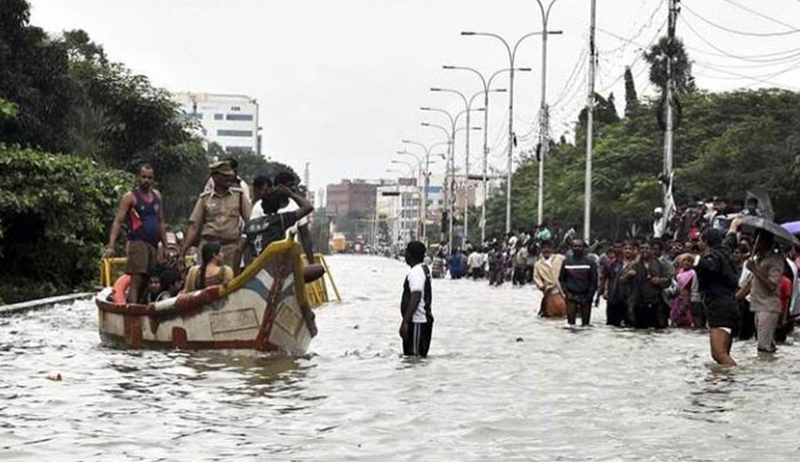 The state government, in their statement announced that 421 people died as a result of the floods, nearly 30 lakh homes were partially or completely damaged and close to 4 lakh hectares of crops were lost due to the floods. 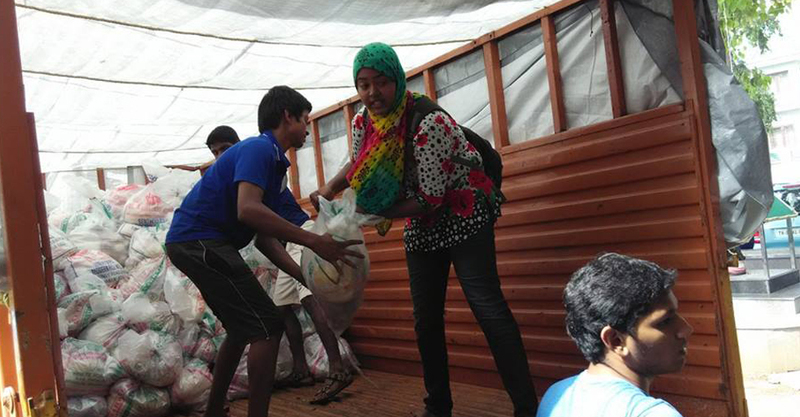 Networking with several other NGOs it was in the forefront offering relief through its massive community kitchens from 3rd Dec to 9th Dec distributing food every day. 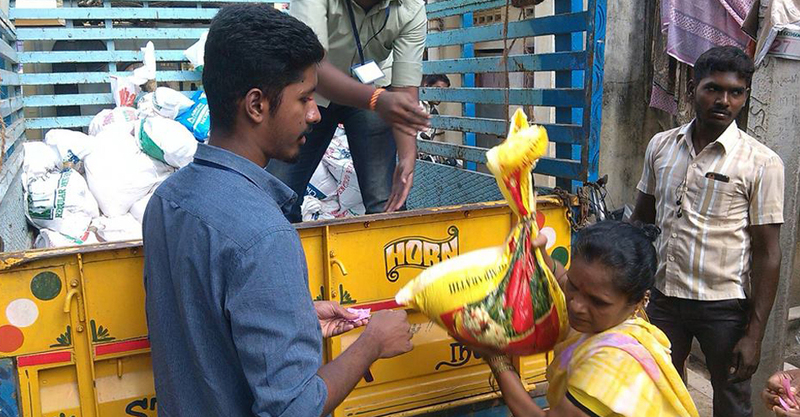 1,90,000 food packets were distributed through volunteers to suburbs and difficult to access areas. 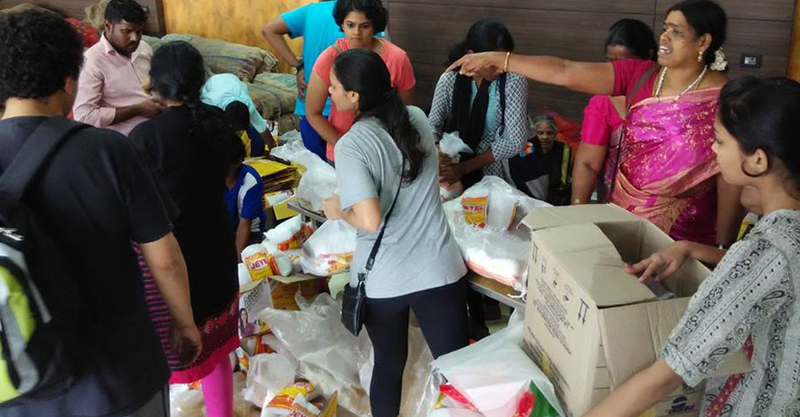 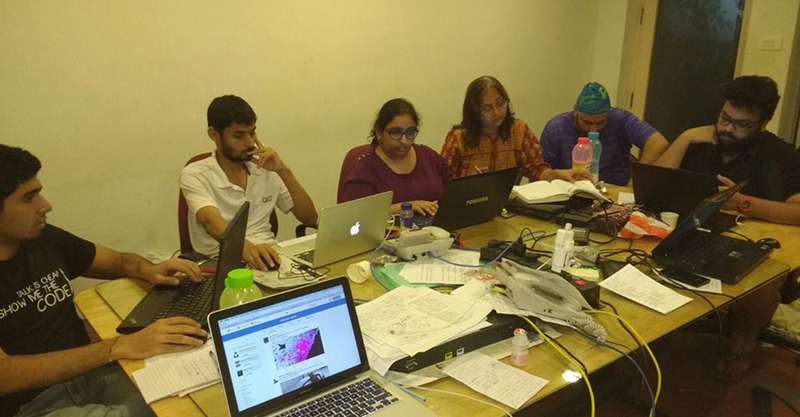 The Community kitchen was predominantly coordinated with volunteers, citizens of Chennai. 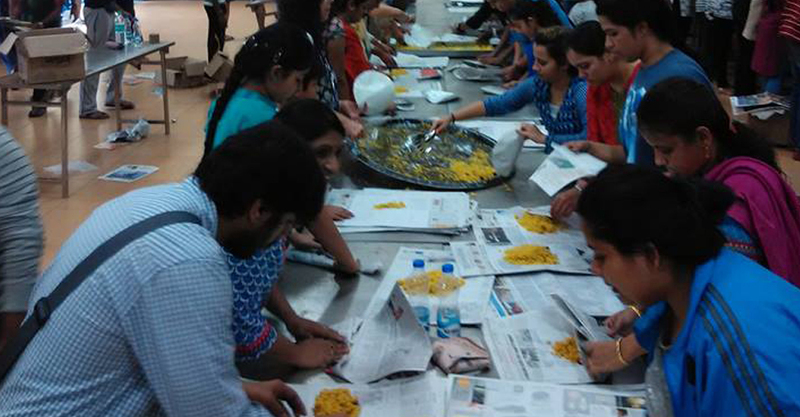 It involved collaboration of cooks in one centre along with creation of individual eco-friendly dried leaf packages by volunteers. 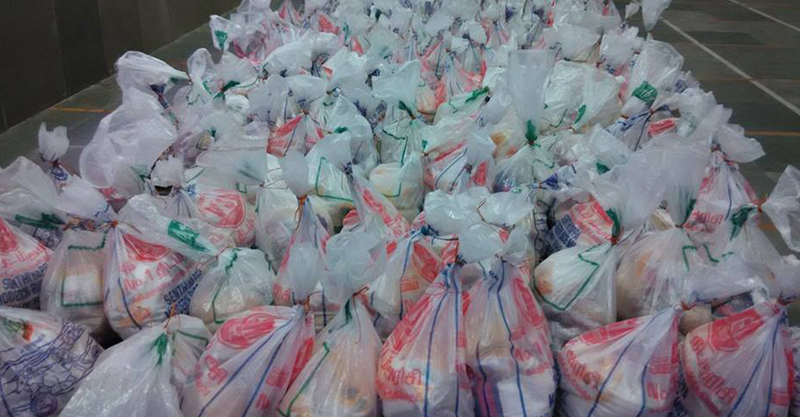 This was put together overnight and volunteer coordination done through social media. 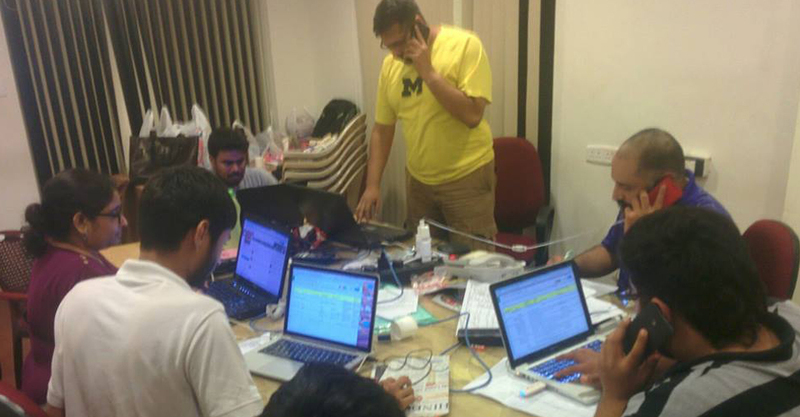 The large community kitchens had over 10000 volunteers clocking more than 1 lakh man hours. 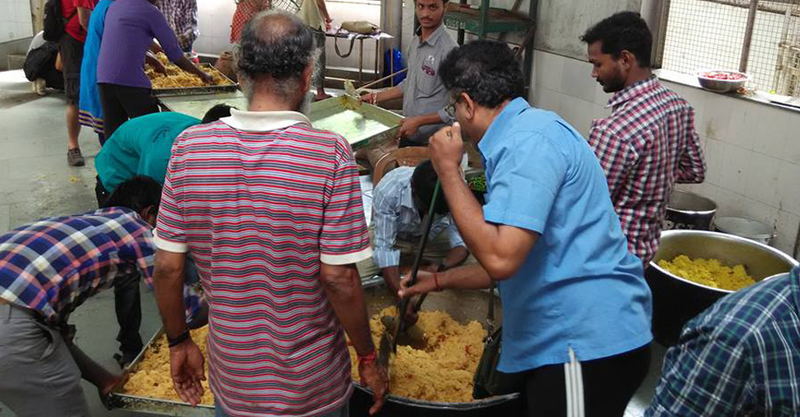 Awareness drives with local roadside eateries, which was a popular recourse since most kitchens were not functional, encouraging them to use donated chlorine tablets to purify their water took place. 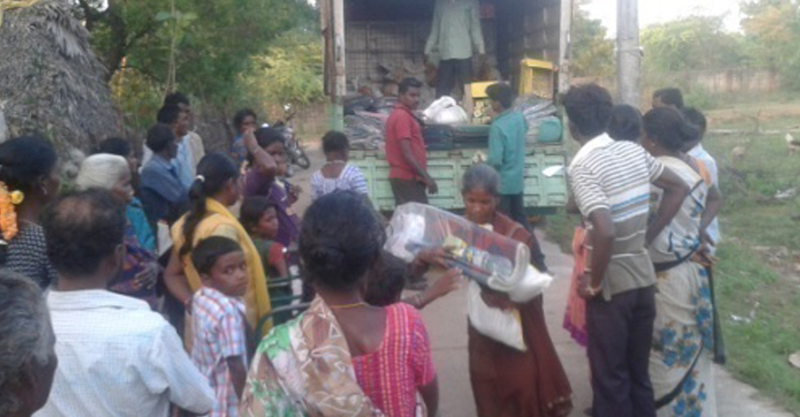 This immediate relief was followed up with the dislocated people being offered assistance to go back to their homes with a 15 days ration kit, distributed to 70000 families, 5000 vessels kits and support to clean out their homes.